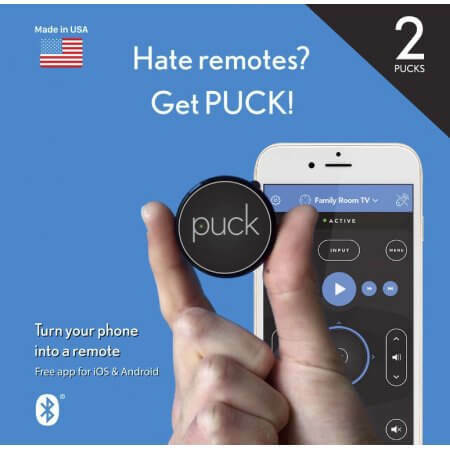 Archives for September 2017 | SmashToast, Inc.
Get PUCK today for easy home automation! The connected smart home is the next “big thing.” PUCK allows you to take the first step towards home automation at an affordable price. With ‘Made in USA’ quality there is nothing like it on the market! Get PUCK today at Walmart! During the creation of this report, they put together the infographic below to show how the IoT ecosystem functions and to forecast how the IoT is poised to explode by 2020. You might want to think about investing in companies working to make our homes smarter, according to Barclays. Google, Amazon, Apple and Microsoft are all major players in the space named by Barclays, and each is trying to create its own ecosystem. Other companies, such as light bulbs built by Philips, not specifically called out in the report, can be used across different platforms developed by Google, Apple and Amazon. Patnaik argued that the connected home industry could be worth more than $300 billion by 2020. Barclays says hardware could contribute $130 billion to that estimate while software and advertising would amount to about $170 billion. Smart homes aren’t necessarily new, but they have previously been limited to wealthy consumers who could afford to have highly specialized systems installed in their homes. Now, thanks to Apple HomeKit and other solutions, consumers only need an affordable hub and a smartphone to add voice controls to gadgets ranging from light bulbs to vacuums and garage door openers. Barclays said voice control helped spur new interest in the smart home and which will be the driving force behind growth in the space. “We believe a final major driver for overall adoption rates will be the ability of consumers to save money on their electric bills: We estimate that the full opportunity of converting to a smart home with a fully electric vehicle replacing a conventional vehicle would save consumers 46.6% on their annual energy bills while also increasing overall household usage by 14% in our base case,” Barclays said.